This flight was the sixteen of the instrument and was primarily an atmospheric remote sensing flight, using at the focal plane of the telescope the FIRS Far-infrared Michelson interferometer developed by the Smithsonian Astrophysical Group. It operated between 40 and 160 microns with a resolution of 0.03 cm-1 and a beam width of 90 arcsec. The interferometer had a dual beam input, where the second beam viewed a cold surface or the sky, thus avoiding the problem of using a chopping secondary mirror. To reduce fluctuations in the mirror velocity and errors in sampling interval, a velocity feedback servo loop was used based on interference fringes of Zeeman-split He-Ne laser. The instrument was evacuated to about 10 torr. Originally, composite germanium bolometers were used as detectors, but for this particular flight the bolometers were replaced with Ge:Ga photoconductors. 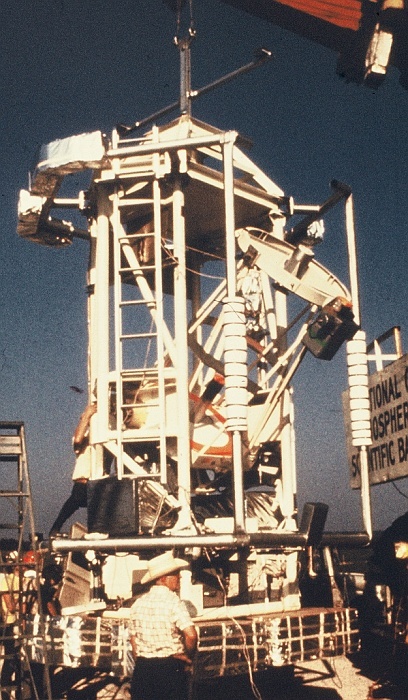 The main objective of the mission was to record thermal emission spectra of the stratosphere in the far-infrared region to obtain abundances of trace species as a function of altitude in the 18 to 35 km region. 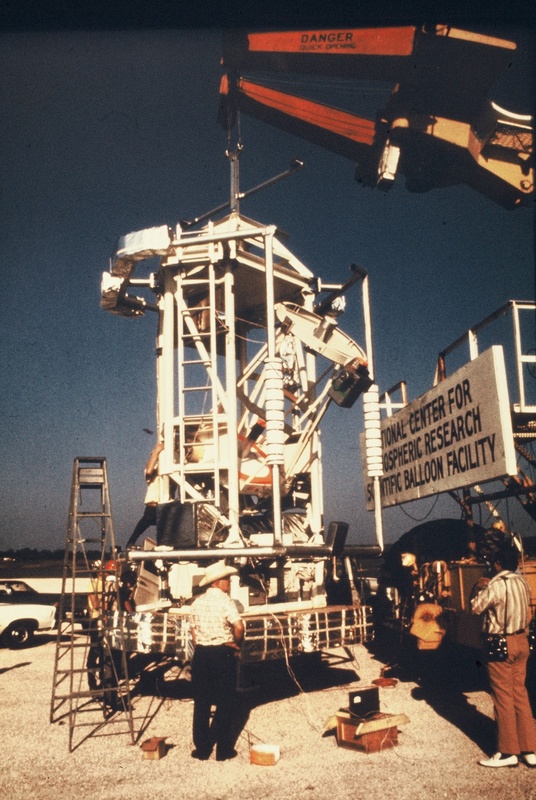 Although the winds aloft were unexpectedly favorable, and would have given the scientific team a full 18 hour (night-day) flight at 29 km, they were only able to make use of a few hours of time at altitude because of a chain of events that was initiated by a reefing sleeve which fell from the balloon down on the payload during ascent. This sleeve, which was found after the flight to be enmeshed in the telescope azimuth control mechanism, was about 60 feet long and 3 feet wide. The loss of azimuth control rendered the telescope unable to point at stars, and that therefore the scientists were unable to calibrate the elevation axis and also unable to pursue a number of secondary (astronomical) experiments. However were obtained about 4 hours of excellent stratospheric night-time spectra.